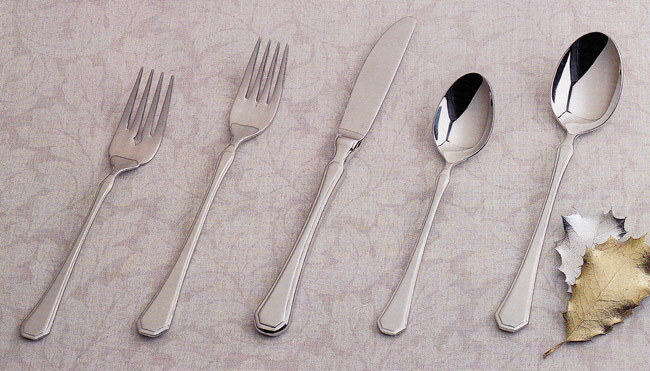 You've selected the perfect china and crystal, but your table isn't complete without outstanding tableware. 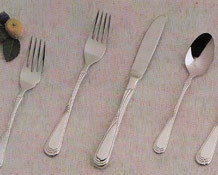 Montrose tableware from Celebrity is sure to impress guests and make your table the center of attention. 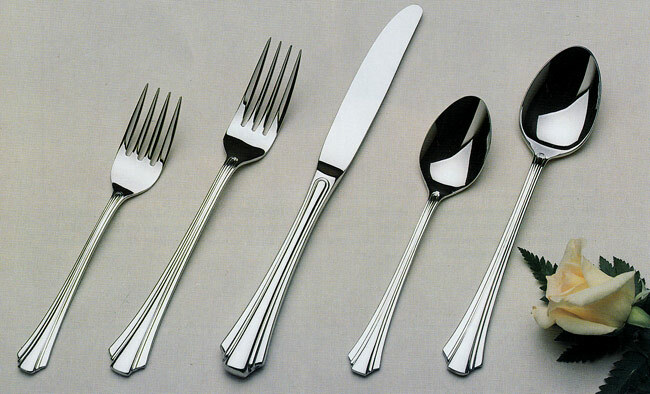 Celebrity offers Montrose tableware in elegant and timeless designs that are sure to suit any taste or style. 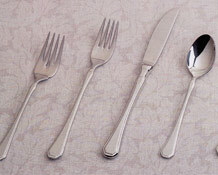 Our Montrose tableware is available in several patterns, ranging from simple to ornate. 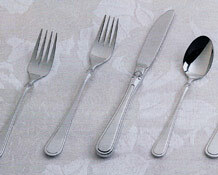 Montrose tableware is durable enough for everyday use, but elegant enough for special occasions. 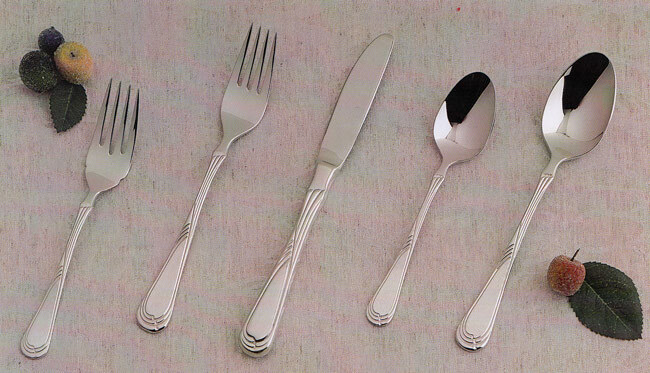 Each pattern of Montrose tableware is available in both three-piece and five-piece place settings as well as sets of serving pieces, allowing you to customize the perfect tableware collection. 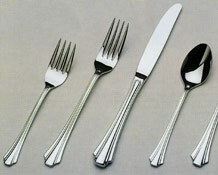 Montrose tableware is 18/10 stainless steel, meaning its content is 18 percent chromium and 10 percent nickel. This composition allows it to maintain its beautiful shine for years to come. 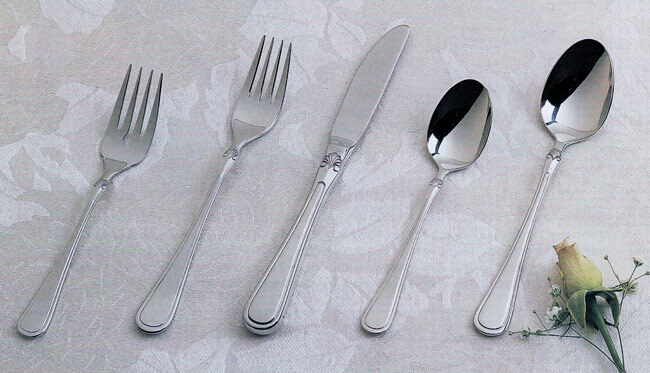 Montrose stainless tableware offers the benefits of being rust resistant, durable, dishwasher safe, and easy to maintain. 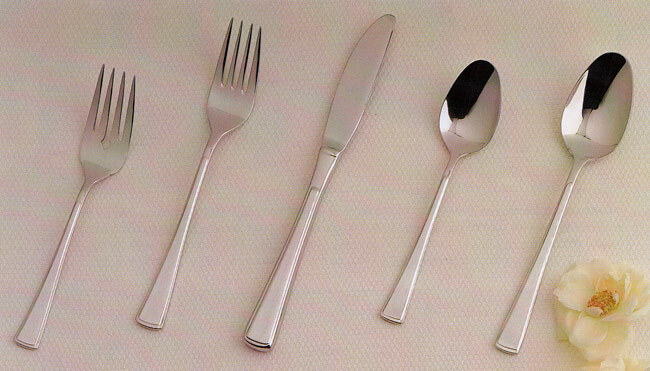 If your Montrose tableware becomes damaged for any reason, you may replace it for one half of the retail price at the time of replacement. 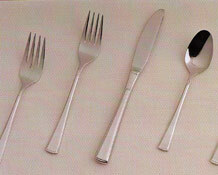 We also warrant that your tableware pattern will be available for lifetime replacement. 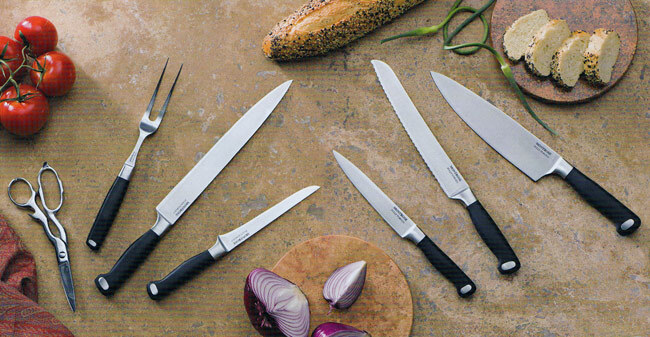 Celebrity also offers exceptional cutlery that is the perfect complement to your Montrose tableware. 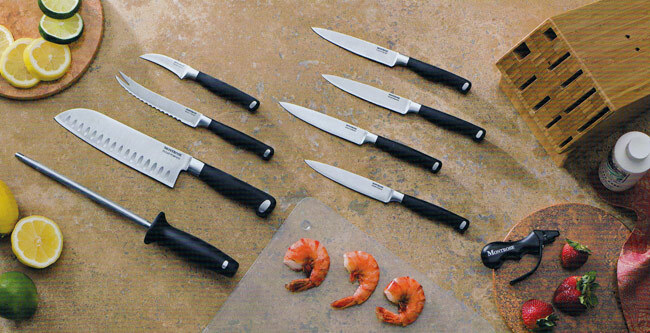 Our cutlery is offered in several sets, allowing you to put together a cutlery collection that meets your individual needs. 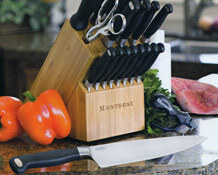 We also offer a beautiful countertop block for stylish storage of your cutlery. 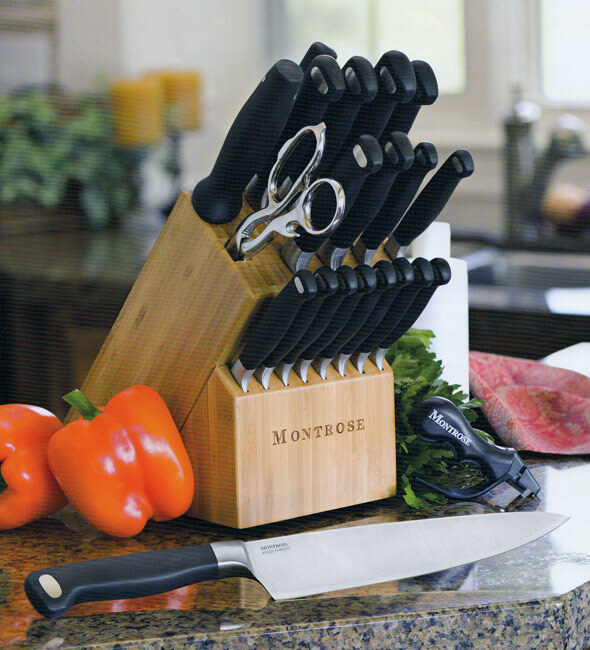 The Montrose fully forged knife set has two five different options: gourmet set, steak knife set, service set, kitchen set, and the chef set.